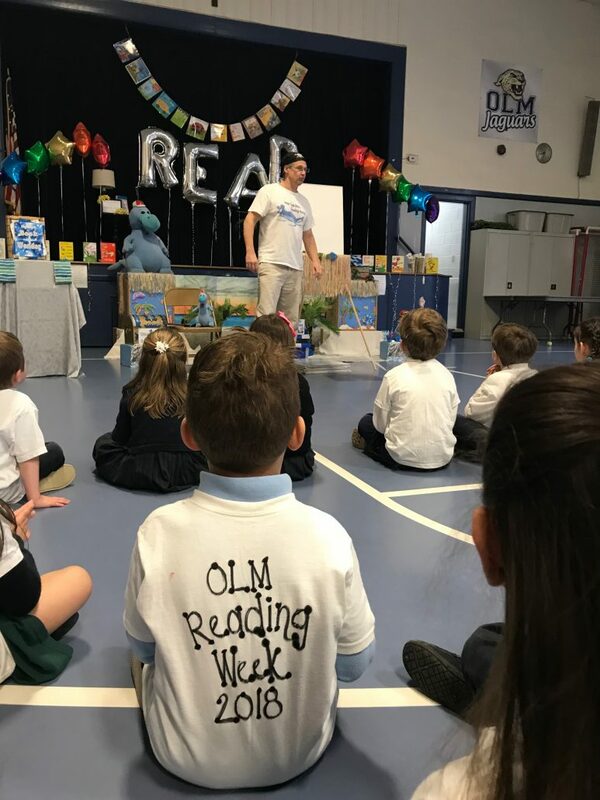 During the week of April 9 through April 12, students and staff at Our Lady of Mercy School celebrated a Reading Week that was overflowing with excitement and enthusiasm, thanks to the efforts of OLM Library Teacher Christie Cambio and her committee of teachers and parent volunteers. 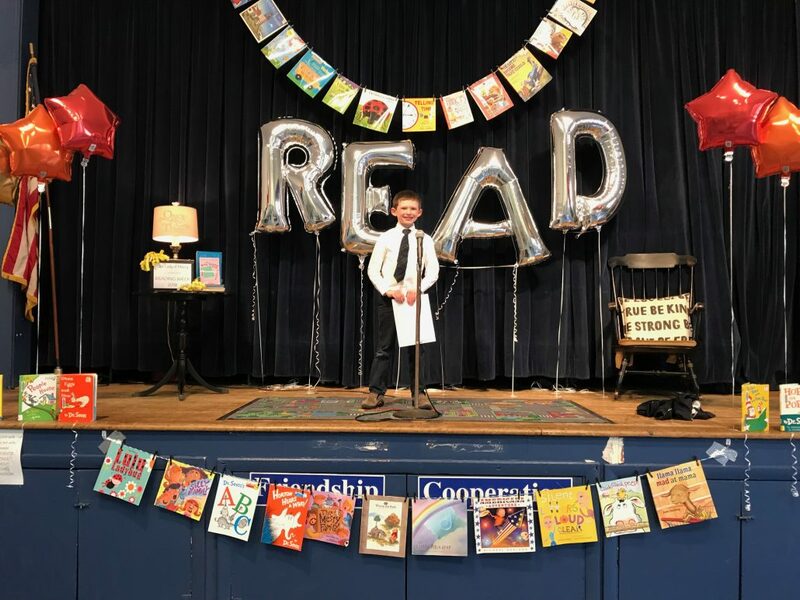 The group was committed to taking a very creative approach to this year’s celebration by bringing reading to the forefront of each school day with a variety of engaging activities, guest performers and readers. 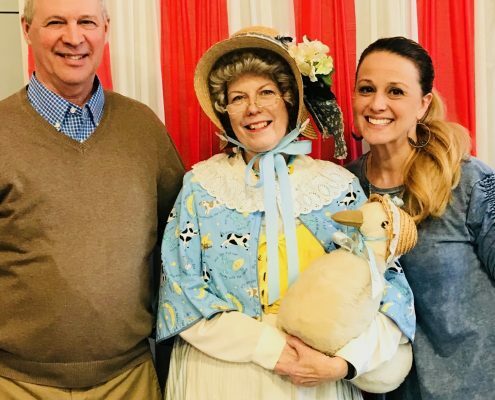 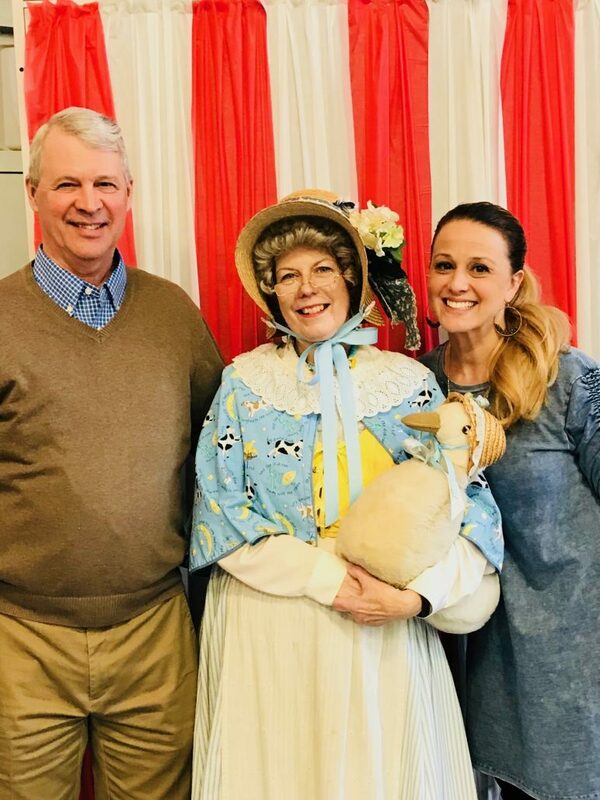 Mother Goose visited Pre-K3 – Kindergarten students; “Piggie and Elephant” from the beloved Mo Willems books performed Readers’ Theater skits; fourth graders performed scenes from Charlotte’s Web and created County Fair games for the third graders to play and finally Huga Tuga entertained the entire school to wrap up the week. 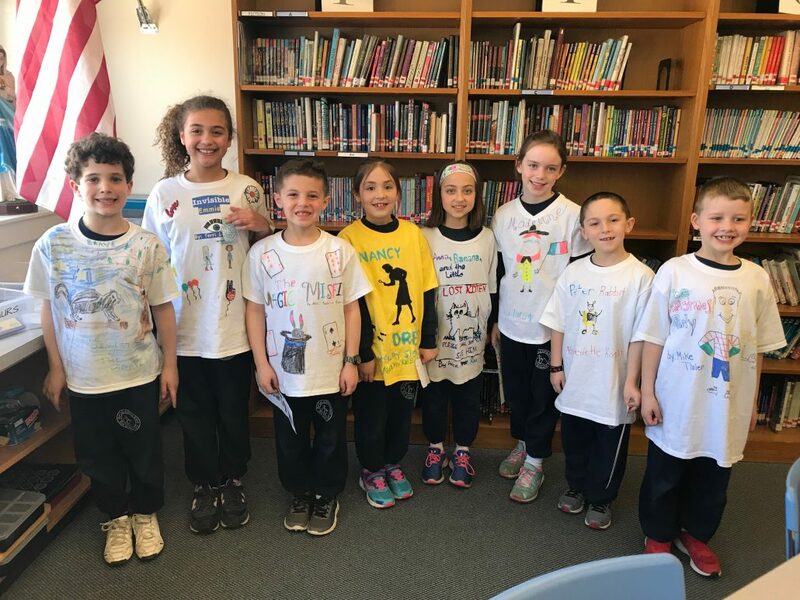 Students created their own t-shirts, inspired by their favorite books, to wear to Huga Tuga’s performances. 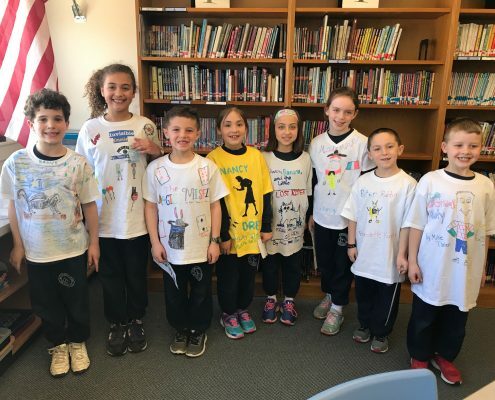 The committee’s energy was contagious as individual teachers joined in the spirit of the week in their classrooms. 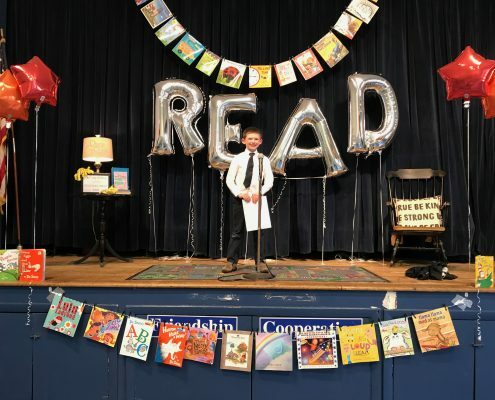 They invited parents and guests in as mystery readers, created puppets and provided students with the opportunity to act out stories, creating appealing displays of literature and most importantly, made the effort to put reading FIRST. 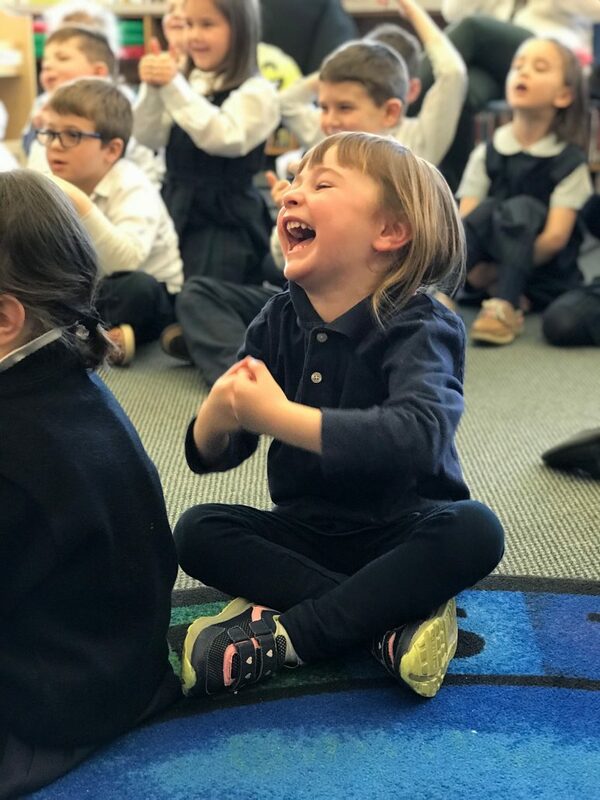 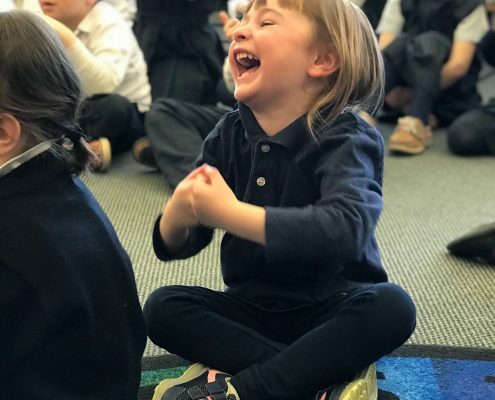 Cambio’s favorite quote, “A book is a gift you can open again and again.” G. Keillor – is epitomized in her enthusiasm for her work not just during reading week but throughout the whole school year. 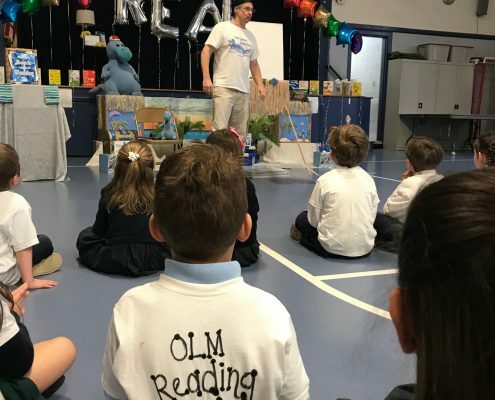 In addition to all of the activities during the week, the OLM community, in living out the school’s mission, collected hundreds of books for children and adults to donate to McAuley Village.